The founder and Executive Director of The KARS Institute for Learning & Collaboration, Keisha A. Rivers is also the founder and Chief Outcome Facilitator of The KARS Group, LTD, specializing in The KARS Facilitated Outcome™ Approach, which effectively integrates strategic development, organizational planning, leadership development, professional training services and outcomes-based planning, implementation, and assessment . She is a grant writer, adjunct instructor, former foundation executive director, educator and administrator. She is the past President of the Mt. Pleasant Chapter of the National Association of Professional Women, founder of The CPC Sisterhood, a speaker, published author, and holds a Bachelor’s degree in Elementary Education from the University of Pennsylvania and a Master’s degree in Curriculum & Instruction with a concentration in Teacher Leadership & Instruction from the University of New Orleans. 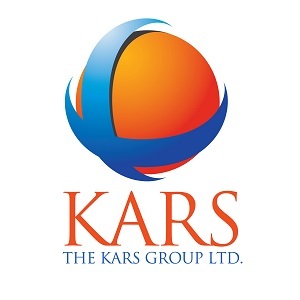 I founded The KARS Institute for Learning and Collaboration because I saw first-hand the passion and yearning that existed within those who had a heart for service but whose only barrier to success were the knowledge, strategies and collaborative support necessary to help them take their passion and create sustainable, viable, successful organizations. The KARS Institute is more than a "training school" or a "learning academy". Yes, you can attend workshops, trainings and symposiums to acquire information, apply strategies and develop your knowledge base. But it does not stop there. The KARS Institute was founded for Learning--yes--but also for COLLABORATION. To bring people, organizations, and groups together in ways that can build partnerships, strengthen relationships and maximize resources so that we can not only learn from each other, but also make more a difference because of each other. This organization is part of a realization of my passion--to help those who are passionate about helping others by giving the gift of knowledge. I welcome your support, your participation and your collaboration as we build a better today in the hope of a brighter tomorrow.